The emerald stone can be found in a colour ranging from light green to very dark green. It also has therapeutic properties for your body and mind, as it has a very special vibration and gives its owner physical, emotional and mental balance. The emerald stone acts completely, providing physical, emotional and mental balance. Despite the mystical baggage it carries, this is a crystal used especially for relaxation and inspiration. The emerald stone is efficient for providing energy, energy and balance. This stone is able to establish a sense of beauty – which increases self-acceptance, increases self-esteem and releases emotional traumas. The stone helps to have more peace of mind and the consequences are seen as a rejuvenation of the soul. Its use also influences the person who uses it to enjoy living, to reconcile with good people and to be a good companion, especially with family members. The Emerald stone has been used for centuries for therapeutic purposes in the treatment of spine, muscle, nervous system and vision problems. It is recognized for strengthening the user’s immune system and enhancing their memory. Having the stone on the work table helps to avoid looking tired. Hindus believe that this stone also has power over the appetite, encouraging patients to return to eating by placing the yolk on the abdomen. How to use the emerald stone? Place an emerald in a glass or bottle of drinking water, and drink it during the day. Results include regularization of blood sugar levels, improvement in vision, increased body balance and considerable improvement in hair and brittle nails. Meditating with emerald is one of the best practices for achieving the desired effects of the stone. In general, it is used to release any constrictions and blockages of our nervous system. As a consequence, it brings peace, calm, harmony and even helps to keep away fears that are haunting him. It is believed that light green, almost pale and transparent emeralds have greater meditative power as well as healing. In jewellery, the stone should be used on the little or ring finger. In a pendant centred on the chest, or on a bracelet on the right arm. Remembering that in these cases the emerald should not be used constantly, only when the user feels the need for some of its benefits. It is believed that using it as a pendant can act as an adjunctive treatment for epilepsy. Whether it be in an accessory or stored inside the bag, the emerald also functions as a powerful amulet. Wherever it is stored, its user will be protected against evil spirits and creatures that tend to poison it – literally or metaphorically. 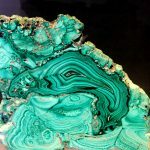 The emerald stone is part of the culture of several countries, and it has for many centuries exerted fascination and accumulates different meanings for each people. It was considered the “stone of love”, related to the eternal love offered to Aphrodite. Greeks also gave it a sense of trust and fidelity. In Rome, the stone had a similar meaning: honouring Venus, goddess of love equivalent to Aphrodite. During the Roman Empire, emeralds were constantly associated with eye health. It is believed that the tyrant emperor Nero used lenses made with the gem to protect the eyes while observing gladiatorial battles. It is said that, in ancient Egypt, Cleopatra used in her clothing and adornments a diversity of the most beautiful emeralds, believing that they would be responsible for granting her the eternal beauty of Venus. The Egyptians also believed that the stone bore fertility and allowed reincarnation – which is why emeralds were buried near the mummies. Incas and Aztecs had adoration for the emerald stone, believing that it possessed sacred power. The gem was used by the Incas as a jewel in religious ceremonies that were also associated with love.